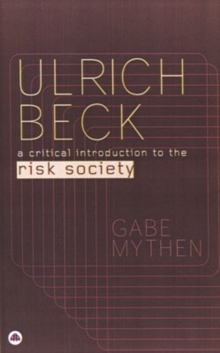 In contemporary culture risk is ubiquitous, filtering through a range of activities, practices and experiences. 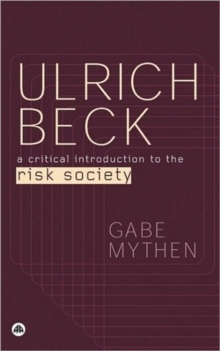 In line with rising public concerns about the management of current threats - such as crime, terrorism and global warming -interest in risk has gathered momentum in the social sciences, galvanized by Ulrich Beck's risk society thesis. 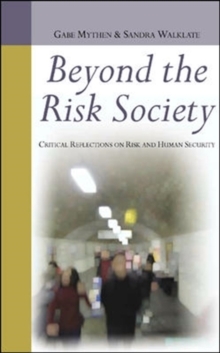 Bringing together cutting edge academics and researchers, Beyond the Risk Society provides an understanding of the relevance and impact of the concept of risk in various subject areas. Contributions by domain experts critically evaluate the way in which theoretical risk perspectives have influenced their fields of interest, offering the opportunity to reflect upon the problems and possibilities for future work on risk. In assembling this collection, the editors propose a holistic and trans-disciplinary approach to understanding the nature and consequences of risk in everyday life. 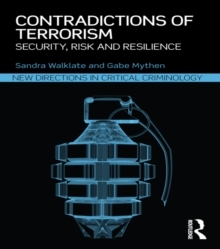 This text is key reading for social sciences students in a range of disciplines, including sociology, criminology, cultural studies, media studies, psychology and social policy. Contributors: Alison Anderson, Rob Flynn, Jane Franklin, Hazel Kemshall, Deborah Lupton, Phil Macnaghten, Jim McGuigan, Peter McMylor, Gabe Mythen, Pat O'Malley, Teela Sanders, Steve Tombs, Sandra Walklate, Dave Whyte, Iain Wilkinson.